While it seems like the focus in the effort to combat animal cruelty would be at the State legislative level, local elections give animal advocates a chance to make a difference in this off year election. On Tuesday, November 7, Pennsylvanians can cast votes for offices which can have a very direct impact on animal welfare policy. Municipal officials, school board directors, and even local Judges of Elections might hold the key to bringing about changes at a state and local level. When it comes to actually implementing new anti-cruelty laws, it’s often local offices which can ensure they are taken seriously. Municipal Council, Township Supervisors, and local Mayors oversee local police departments and set the tone and enforcement direction for communities. They often direct local wildlife management policy. If these office holders view animal welfare as important and as part of ensuring a good standard of life in their community, animals will benefit. School boards make curriculum choices which can sometimes involve use of animals. Many schools still do “egg hatches” in elementary school and dissect animals in high school. Some use euthanized cats which are sourced from animal shelters. Little Johnny may be dissecting someone’s dead pet in Biology. 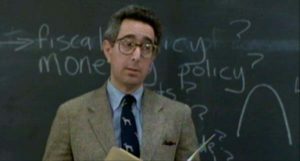 And although Pennsylvania mandates “alternative” assignments if requested by students, often those alternatives require extra out-of-class work. This is an obvious disincentive to students who might otherwise wish to opt out. That’s why pro-science but anti-needless cruelty school board members can make a difference by ensuring that the intent of the law is followed and that high quality alternatives are considered. And all those obscure offices, such as Judge of Elections or local Auditor, can have an impact, too. 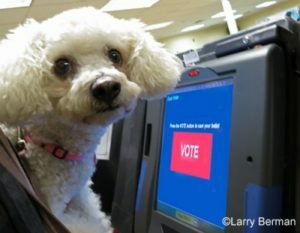 Fair elections are critical to making sure good, animal friendly candidates have a fair shot at winning. Just how much does your municipality pay to have feral cats rounded up and killed? A Township Auditor might be able to take a look at that number. When these small local offices turn over, they apply upward pressure to the county political parties and they have a voice in choosing future candidates for office from the inside. That includes future candidates who will run in 2018 State elections and who will be able to pass meaningful animal welfare legislation. Laws are only as good as the enforcement they receive and prosecutions only as good as the trials they receive. Don’t forget to do your research on the District Magistrates, Commonwealth Court, and Supreme Court Judges running this November 7. They decide these cases, both in first round trials and on appeal. One of the biggest barriers to prosecuting pigeon shoots under current law is the result of a decision by just one Commonwealth Court judge in Berks County decades ago. Judges matter. You can change things for animals this Tuesday, November 7, by choosing local and judicial candidates who share your belief that animal welfare matters. Do your research now (you’re reading this on the internet- use it!). Ask candidates where they stand and make an informed decision. Make a plan to vote November 7 and do it. Passing good laws is up to our legislators. Electing pro-animal welfare candidates is up to us. Animal welfare is as much a realm of rumor as any industry. There is a rumor swirling around right now that the State Legislature and Executive Branch–or at least some in them–are considering a change in who provides initial and continuing education for Humane Society Police Officers (HSPO) in Pennsylvania. Since the inception of the HSPO law, this training has been provided through a partnership of major universities (including Penn State) and Federated Humane Societies of Pennsylvania, a volunteer professional affiliation group made up of representatives from over 50 animal welfare organizations across the state. Disclosure note: I am on the board of directors of Federated Humane, and Humane Pennsylvania is a member agency. Not So Hot For Teacher. According to the unsubstantiated rumors, the idea is to grant the training contract to a new entity and an existing individual entity, rather than a collective of organizations like Federated Humane or a major dissociated entity, like Penn State. In other words, instead of a coalition of organizations representing all types of communities ranging from rural to suburban and urban; and all types of missions ranging from brick and mortar shelters for companion animals to farm animals; and a wide range of mission beliefs and approaches, the training could be in the hands of just one organization. One organization, representing one viewpoint, one region, and one approach. In my opinion, this is a profoundly bad idea, for a number of reasons. Trust: The choice of a major university and a membership group representing organization from every corner of the state to be responsible for training was no accident. It is reasonable to expect some lack of trust from country folk or city folk, or eastern PA or western PA, etc. (and vice versa) because it is reasonable to think that there may be less understanding of these specific communities. Federated Humane had members of every size, from nearly every county, and could speak credibly to the views of a broad spectrum of organizational and local priorities. A single agency will not engender that same breadth of representation and may be viewed with suspicion in some quarters. Any out of state advocacy organization, such as HSUS, will unequivocally face suspicion from the agricultural community. This may be undeserved, but it will be a fact. Continuity: Penn State or a big university isn’t going anywhere. Federated Humane Societies or a similar group made up of and serving a large group of agencies of all sizes and types is self-perpetuating and less subject to major swings of capacity. The same cannot be said about individual organizations. The past decade has seen animal shelters growing or dramatically shrinking, some divesting themselves of shelters, other radically changing mission approaches. Some, including Humane Society of Berks County and Humane League of Lancaster County, chose to drop their legal rolls in cruelty law enforcement for a variety of reasons. In the case of the Humane League of Lancaster County, it literally collapsed as an organization and dissolved to be taken over by another organization in the matter of only a couple years. Placing all the training eggs in one basket is dangerous. Credibility: It is far easier to call into question the credibility of any agency which stands to personally profit from taking on training. Penn State makes little if anything on providing training and even if it did, it’s a drop in the bucket of their billions. Federated Humane is a volunteer organization that provides training supports at a loss using volunteers. Will an individual organization answering to its own board, donors, and operating budget needs be able to say the same? Will its own financial history be called into question and raise doubts about every price increase or change to the curriculum or training location? That’s a rhetorical question. The answer is, of course it will. Politics: Granting one organization the power to provide all training is also an invitation to turning already latently political issues and processes into openly political ones. If any legislator thinks partisan politics are bad, try wading into animal politics. As soon as it appears that one organization will benefit directly and exclusively, it is a sure bet that other organizations will question why they should continue to support the efforts that are imbalanced in favor of one of their peers, especially one which may not even be in its community, or is bigger or better resourced already. Why would they continue to exercise their influence on local representation over statewide issues if they no longer have a voice in decisions? Moderation: Because of the current university and member organization control of training, there has been a moderating influence on all groups. For example, I serve on the board of Federated Humane and my organizations don’t provide direct cruelty enforcement any longer. But I know this is important to the member organizations which I am supposed to represent as a board member. It may make no difference to me and Humane Pennsylvania who does what, but it matters very much to scores of our members. That makes me fight on their behalf and it also obligates me not to unilaterally strike out on our own for our own political agenda. This moderating influence will be lost if training is placed in the hands of a single organization. Fairness: Let’s also be honest. If there is a change, especially if any sort of contrived crisis is allowed to occur, someone is likely to walk away with money that isn’t on the table right now. It is entirely unfair to organizations who have been providing services to the state for free for 25 years to relinquish that role–only to have a new comer profit from it. It is also unfair if all organizations who have been doing the work have been excluded from any discussions about the any changes which may be coming down the pike. If only one or two organizations or individuals are “in” on plans that will impact every community in PA, it is flatly unfair. Maybe the rumors are false. I hope so. But if they aren’t it means that behind the scenes discussions are being engaged in that could radically change how HSPO training is delivered in Pennsylvania and it will almost certainly result in a lack of trust, continuity, credibility, moderation, and fairness. And that’s bad politics. It could also be very bad for animals if the changes don’t go swimmingly. I sincerely hope that the legislature and the executive’s office thinks long and hard before taking any action which could turn Pennsylvania into an animal welfare free-for-all.